Place your bets, ladies and gentlemen. 2018 will see the arrival of several debut single malts from a burgeoning assortment of distilleries. The enigma that is Daftmill teamed up with Berry Bros. & Rudd to finally debut with a price tag circa £210. Another Fife entity in Eden Mill hasn’t finalised the price of its single malt – likely to just be available to cask owners and employees – but expect this in the region of £350. Yes, you just read that right, but think about it for a moment amongst the madness. An asking price of £350 for a 3 year old whisky. At least Daftmill dates from 2005, putting it into the bargain basement category. I can only imagine what Kingsbarns will demand given the antics of its Fife counterparts. Even distilleries now are cashing in on their heritage and the out of control secondary market; selling the initial 10 bottles to the highest bidders. Can you blame them? The audacity and bravado being shown is propelling into a festering mess of how far can prices be turbocharged? The bets are on. The question being which distillery will ask the highest price for its debut single malt? In a roundabout way, all of this takes us nicely to Teeling distillery. Already a well-established name in Irish whiskey and beyond. Teeling only started distilling in June 2015, meaning its likely debut will follow later this year. The asking price? Oh, I’m sure the savvy owners are looking across the Irish sea towards the madness we currently endure. Hopefully, the Teelings are not rubbing their hands with glee hugely, but consider a board meeting in any distillery when they debate what to charge. 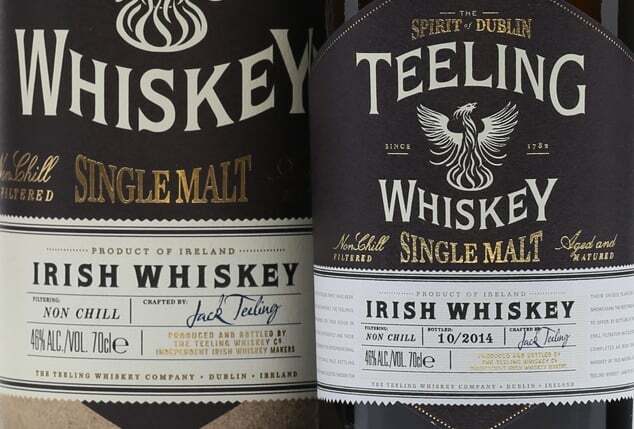 Teeling has already established its identity as a single malt thanks to brokering a canny deal with Beam in 2011 that included a considerable inventory of stock from their former Irish distilleries of Cooley and Kilbeggan. This resource has been utilised for several years to build the Teeling brand through clever marketing, branding and cask implementation. Partially assisted by the chilled rules around Irish whiskey. At Malt we wonder just how many out there believe they’ve had a Teeling single malt when in reality they haven’t. It’s not exactly duping the consumer to a certain extent but could create some brand confusion further down the line. This particular bottling forms part of the Teeling Revival series. Each entry is a limited release with this Revival Volume III being restricted to 10,000 bottles. That’s not really limited in Malt’s eyes but technically any release whether it’s a set number or a specific time frame is limited. To onlookers, the meaning of limited can translate into different realities. Ultimately this Revival symbolises the 18 month anniversary of the Teeling distillery. The initial entry in the series was to commemorate its opening so I suppose we’ll see one for the visitor centre extension and the new toilets if the marketing team run short on ideas. We needn’t laugh as Tamdhu bottled a release to celebrate its train station. Game on. Let’s dig into the details of the whiskey itself. We know it’s a 14 year old and thereby distilled in 2002. Given Kilbeggan distillery was revived itself in 2007, this means the whisky comes from Cooley. Moving on, these whiskies were matured in ex-bourbon casks for the majority of their lifespan before being finished in 350 litre ex-Pineau Des Charentes casks. Cue the Adam wine chat section. Charentes is a fortified wine from France and is an aperitif, being a mix of cognac and grape juice matured in oak casks. This Teeling is bottled at an acceptable 46% strength, is non chill filtered and will set you back in the region of £120 if you can still locate a bottle. My thanks once again to Noortje for the sample. On the nose: apricots, kumquat, lychee and grape juice. It’s fun enough actually and a youthful vitality. Birds Eye custard, vanilla toffee, stewed apples and then delicate flashes of aniseed, almonds and liquorice. Solid without offering any wow factor. In the mouth: a little bitter and uncouth. Dried orange, tinned apricots and apples. Lemon pips, green peppercorn, olives, Madeira cake and a clay-like dry finish. I feel the cask finish here is poorly judged. I’m not normally a fan of wine cask finishes although this is more of a non-wine aperitif, but you get what I mean. 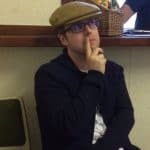 In my mind I’m thinking of a fiendish plan with some rather tame and non-expressive casks of Irish whiskey that needed jazzed up prior to release. Let’s phone around and see what’s out there. Pineau Des Charentes casks? Never heard of them, but let’s try and see what happens. The end result is a fairly mundane and unmemorable whiskey. Already the Revival IV is out and offers a 14 year old Irish whiskey with a Muscat cask finish for a year. On the form of its predecessor it’s certainly not one that’s on my shopping list anytime soon. Lead image from our friends over at Abbey Whisky. Next articleSpirit of Speyside Festival: Looking Forward? Next: Spirit of Speyside Festival: Looking Forward?